Oh how I love these little darlings. If fact, these little fish went a long way towards building my current fish room. Between 2008 and 2014 I raised and sold hundreds of these fish every year. It’s not often you get a first hand experience when new fish are introduced, but with these guys I had a front row seat. I’ve got the history of these fish posted here if you’re interested. I got my very first group of CPD’s from Tom & Nevin Bailey at Aquariumfish.net. 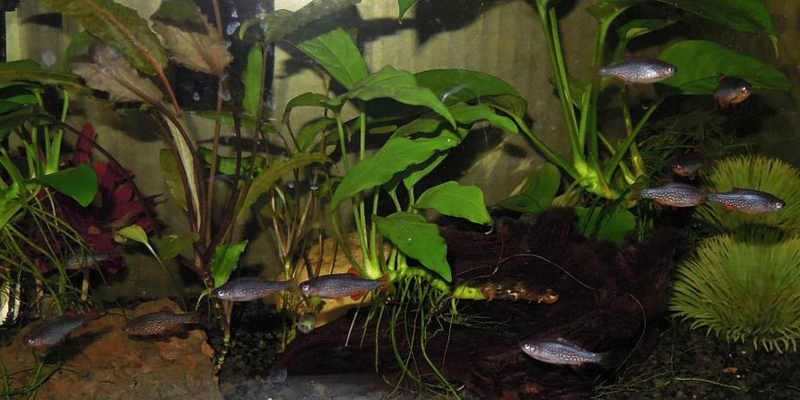 At the time, I was keeping several different varieties of freshwater dwarf shrimp and was looking for a small fish that would co-exist peacefully with the shrimp. It wasn’t long before I was having limited success spawning my CPD’s and my quest for better breeder set-ups for these fish began. 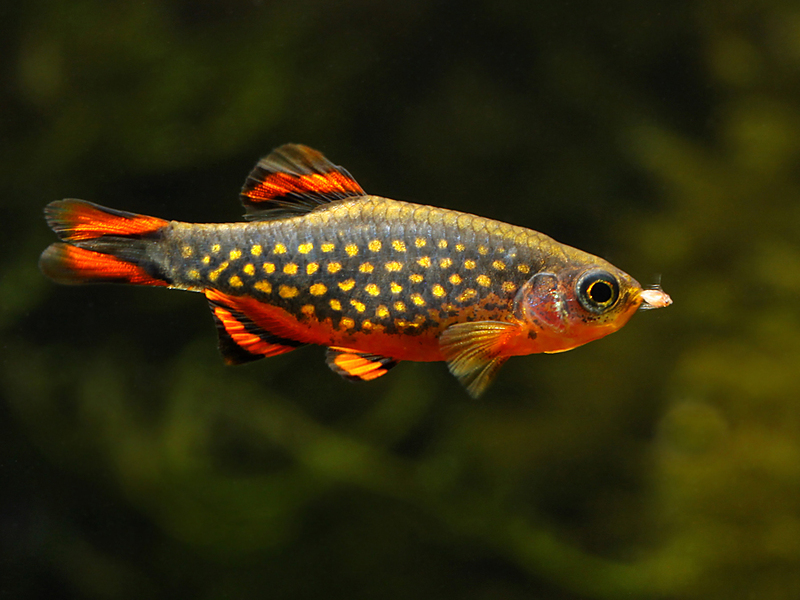 With CPD’s getting the fish to spawn is not the problem, they breed like guppies. No, the problem is, keeping them from eating the eggs and/or the fry. CPD’s don’t spawn in typical Danio egg scattering fashion. 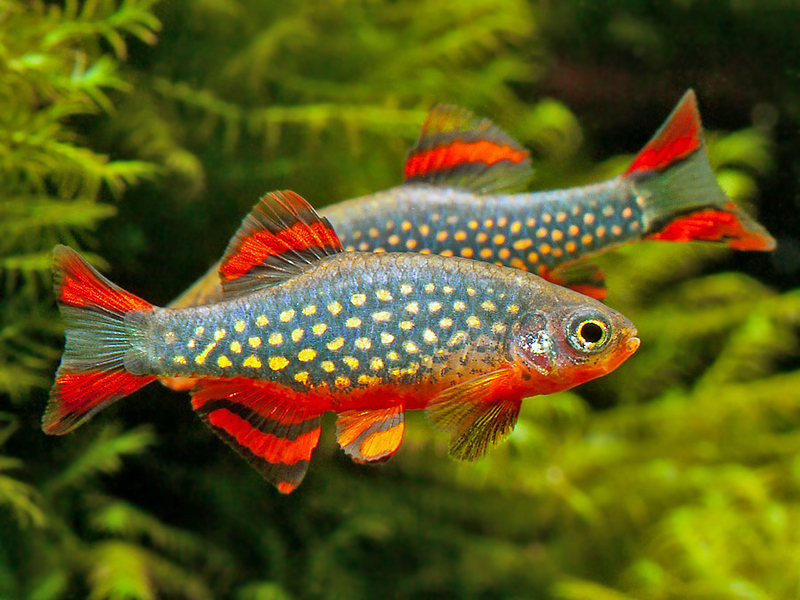 Instead, they tend to lay clutches of eggs in plant material at the bottom of the tank. They are not too fussy about it and will readily use spawning mops too. Using this method, I typically get from 25 to 100 fry from young well conditioned breeders. I feed my breeders sinking shrimp pellets, newly hatched brine shrimp, monia, and small mosquito larvae. I like to leave the fry in the 5.5 gallon set-up for the first 30 days. It is much easier to be sure they are getting plenty of food, and it is also easier to do large daily water changes on such a small tank. At the end of 30 days, I move a maximum of 65 fry into 20 gallon long tanks. With lots of high quality food, and large daily water changes, they will be sexually mature in 12 weeks using this method. Here’s a video of some fry in a 20 gallon long grow-out tank chowing down on sinking shrimp pellets….. I have maintained the website www.celestialpearldanio.com for many years now. One of the benefits has been to receive permission from several photographers to use their photos of these beautiful little fish. 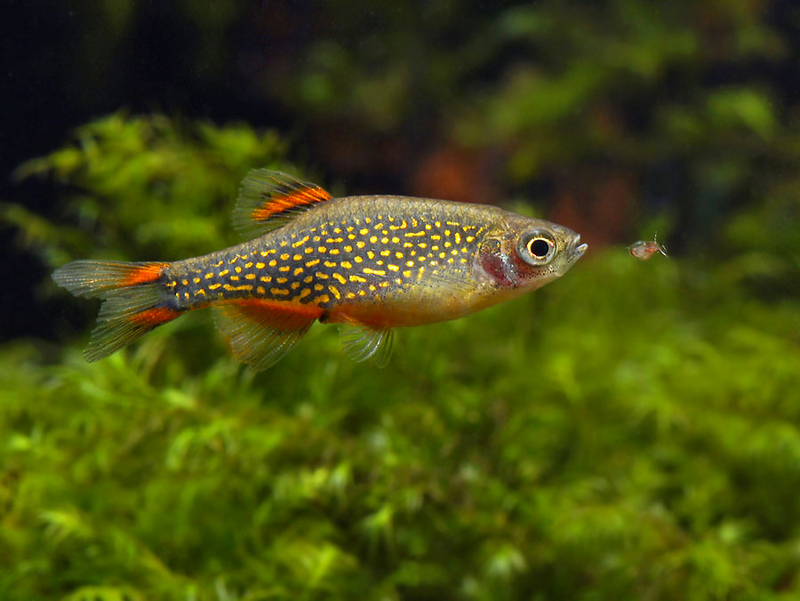 Here are some superb Danio margaritatus photos by Peter Maguire….. I have found that my fish prefer cooler water temperatures. In fact, when the temperatures go much over the mind 70’s, my fish stop spawning. That said, a fellow hobbyist told me her fish would continue to spawn in water much warmer than mid 70’s, so your mileage may vary. I have also found, that in a species tank, Danio margaritatus generally prefers to stay towards the bottom of the tank. I have always assumed that due to their small size, they are near the bottom of the food chain, and venturing towards the waters surface exposes them to predation from birds and other fish. 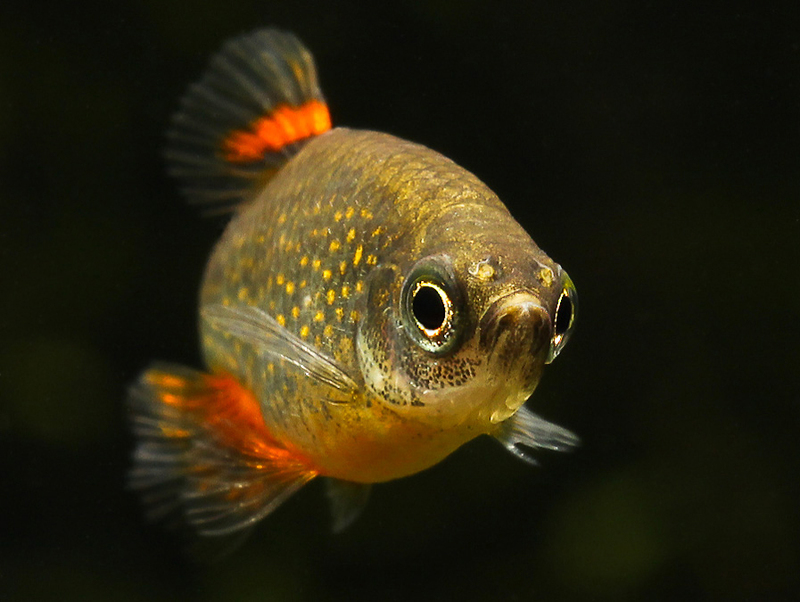 Sometimes, when kept in a mixed tank they will become bold enough to swim in the upper levels of the tank, so this observation is not set in stone.